Below you can view all the homes for sale in the Carefree subdivision located in Greenwood Indiana. Listings in Carefree are updated daily from data we receive from the Indianapolis multiple listing service. To learn more about any of these homes or to receive custom notifications when a new property is listed for sale in Carefree, give us a call at 317-987-2530. MUST SEE TODAY! 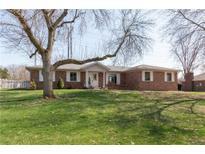 Open Sun, 4/14 12-2p MLS#21632289. 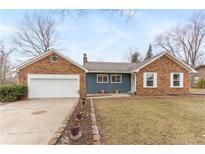 Keller Williams Indy Metro S.
All appliances included and move in ready! MLS#21630760. Dietel Realty Group, LLC. In Center Grove Schools, plus only a minute south of County Line & 5 minutes to the mall. MLS#21630847. 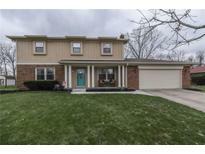 Keller Williams Indy Metro S.
NEIGHBORHOOD: community pool, tennis, basketball courts & playground, MLS#21628480. RE/MAX Advanced Realty. Storage Barn And 2 Arbors. Home Warranty.Pre-inspection.Stop Dreaming & Start Packing! MLS#21619158. RE/MAX Results. Come see this beautiful home with all the upgrades and hard-to-find extras! MLS#21584212. Keller Williams Indy Metro NE.